Official structures of TB control may foster distrust, suspicion, and often infantilize or even violate the rights of persons with TB. We invite brief proposals to develop tools and approaches to reduce TB stigma within structures and systems in society. Challenge dogmas and mantras (established practices) of TB control that stigmatize. Structural change requires the ability to reimagine the status quo and question the underlying logic and evidence upon which much of TB control is built. Often structures serve seemingly competing interests and reconciling them is not a trivial task. Effective approaches prompt critical reflection and long-term change that disrupt chains of events that reduce the life chances of people with TB. Crucially, effective structural change requires knowing when to modify versus destroy systems. An effective intervention package will vary the exposures, channels, and address stigma at its roots (i.e. drivers). Efforts at institutional change should anticipate and address different levels of motivation to change, learning styles, and tailor the “dosage” and type of intervention to specific audiences. Health or legal structures that infringe upon rights of individuals exposed to or burdened by TB. TB treatment structures that encumber people unduly, curtailing their life pursuits (e.g. legal obstacles barring people with TB from marriage, education or migration). Re-examine habitus (taken-for-granted practices) and discourses (rhetoric). Proposals stressing standard “chalk and talk” didactic trainings (where learners are lectured by an instructor as opposed to engaged in participatory adult learning) are discouraged. Technical knowledge acquisition can be a small part of the intervention package, but successful proposals will engage both cognitive and affective levels. Sensitization exposures for political, judicial, education, or health authorities designed to build empathy and catalyze reform of (or reinforcement of supportive) polities, guidelines, and norms. Interventions to increase the eligibility for, access to, and utilization of economic, psychological, housing, employment opportunities and support for persons affected by TB. Structural reforms to decrease the social burden of TB diagnosis and treatment, particularly those that help to prevent deductive disclosure, elevate the decision-making power and autonomy of persons with TB, and reframe the partnership between those with TB and those who serve them. Working with architects, patients, and infection control engineers to re-design TB treatment spaces to better balance the needs of families affected by TB and the air safety needs of health workers. KNCV Tuberculosis Foundation is reaching out to scientists, creative change-makers, community leaders, innovators, and justice-seekers to help create the tools to dismantle TB stigma in people with TB, communities with a high TB burden, institutions where TB stigma thrives, and in structures that support TB stigma. c) ALL HANDS: by engaging all stakeholders in the daily labor of making the world more just and healthy for people with TB. We seek collaborators who can help us to build impactful intervention packages that can be adapted to different settings. Our tool box will contain clear evidence-based, multi-level stimuli to shift hearts and minds, policies and practice. Applicants are strongly encouraged to leverage ideas that have worked in reducing other kinds of stigma. In this case, applicants should be able to adapt those existing interventions to address TB and KNCV will provide support on how best to do that, if appropriate. Leveraging the science of stigma reduction, we seek social and scientifically informed approaches that can be readily adapted and deployed in countries such as: Afghanistan, Bangladesh, Botswana, Cambodia, Democratic Republic of Congo, Ethiopia, Georgia, India, Indonesia, Kyrgyzstan, Malawi, Mozambique, Myanmar, Namibia, Nigeria, Philippines, Romania, Tajikistan, Tanzania, Ukraine, Uzbekistan, Vietnam, Zambia, or Zimbabwe. Passive learning (e.g. listening, watching) should be limited in favor of more active forms of behavior and attitude change (e.g. doing, discovering, problem solving). The over-use of power point is discouraged. The package described in the application must reflect a specific behavioral change theory or theory-driven community mobilization approach. 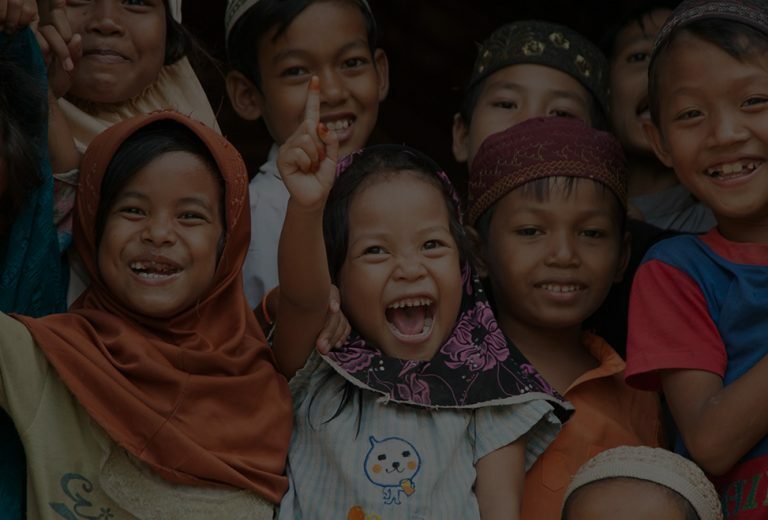 We are looking for an individual or organization that understands how to connect behavioral theory to an overall intervention design which leads to outcomes that are measurable and effective in the reduction of TB stigma. Applicants should build their package around a clear theoretically -informed, evidence-based framework that specifies which domains of stigma are being addressed and what is the hypothesized mechanism of stigma reduction for each module. The intervention package must be informed by both theory and practice of TB stigma reduction. Authors should provide citations to any studies supporting the theories underlying the intervention and reasons why it is expected to be effective in reducing stigma. Applicants should include a prominent role for persons with TB or persons with a history of TB as technical partners in the development of the interventions to ensure the quality and relevance of the interventions. All intervention packages should include a module specific to the stigmatization of people with multi-drug resistant TB (MDR-TB). Stigma toward people with MDR/XDR TB are likely fostered and sustained by distinct sets of underlying factors. The intervention package will eventually include an appropriate monitoring & evaluation envelope- (i.e. 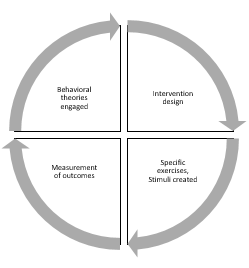 with measures and stigma scales that map to the specific stigma domains in the intervention). The M&E content will be developed by KNCV in collaboration with authors and is not required as part of the application or the full package. If interventions need to follow a specific sequence – these implementation guidelines should be specifically explained. The authors should indicate the minimum dosage of the intervention expected to be required to detect any noticeable changes in the expected outcomes and the preferred manner of implementation. Optional or advanced modules of the intervention should be specifically defined. All TB stigma reduction interventions must be gender-aware and informed by region-specific literature on TB and gender. In many communities TB stigma may be temporized or potentialized by other powerful stigmas.1,2 So addressing TB stigma, even successfully, will not reduce the suffering of people with TB very much. Applicants should therefore indicate how this intervention could be combined with other anti-stigma efforts. The materials developed under this contract would be co-owned and co-branded (by the author and KNCV TB Foundation). KNCV would reserve the right to make modifications to the work such as translation, copy editing, and combination with other content. End-users would also be encouraged to tailor to the interventions to the needs of their setting. If the applicants consider aspects of the intervention package to be original works of art ( i.e. not modifiable), this should be clearly specified. The proposed budget should not exceed $7,000. Budgets should include the time needed to craft the package by an expert or very small team. Successful applications will likely be those that have already developed similar materials in the past, which need only modify existing materials. This RFA does not require the applicant to provide graphic design competency as this will be provided. An Instructional Designer and Social Scientist will be available to contribute to ensure the logical coherence between the behavioral theory employed, the interventions developed, the materials developed, and the measurement metrics used (M&E). The final published version of the TB Stigma reduction Tool Box will be presented by the authors in The Hague December 13-14th, 2017. Travel expenses for 1 author will be paid by KNCV TB Foundation. CVs of the main content developer(s) – highlighting track record in TB and stigma reduction. Please use the template provided to submit your application. Apply by email to Stephanie Borsboom on or before: August 27, 2017. The track record of the applicant. The balance between affective, cognitive, and active change efforts. The likelihood that the applicant can complete the work in the short time period. Proposals that are impactful and comprehensive in scope will be preferred over proposals that privilege feasibility, incremental improvement, or traditional chalk+talk methods. Bond V, Nyblade L. Supportive Social Context and Intentions for Civic and Political Participation: An Application of the Theory of Planned Behaviour. J Community Appl Soc Psychol. 2006;61:452–61.